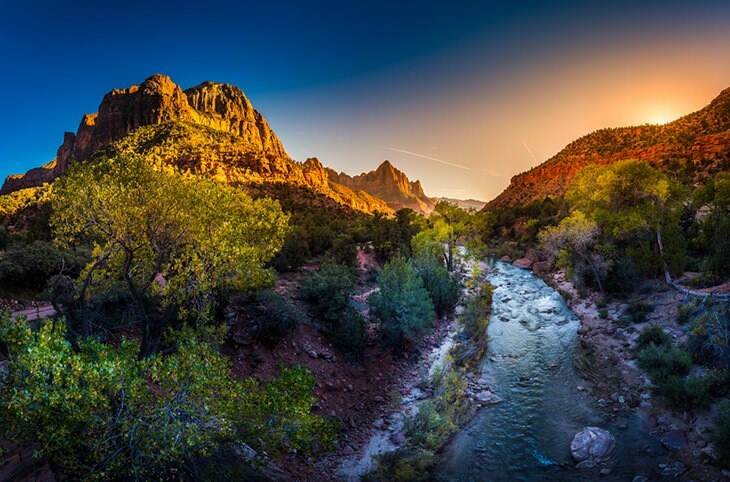 What's The Best Thing To Do In South Campground Zion? What's The Best Thing To Do In South Campground Zion? 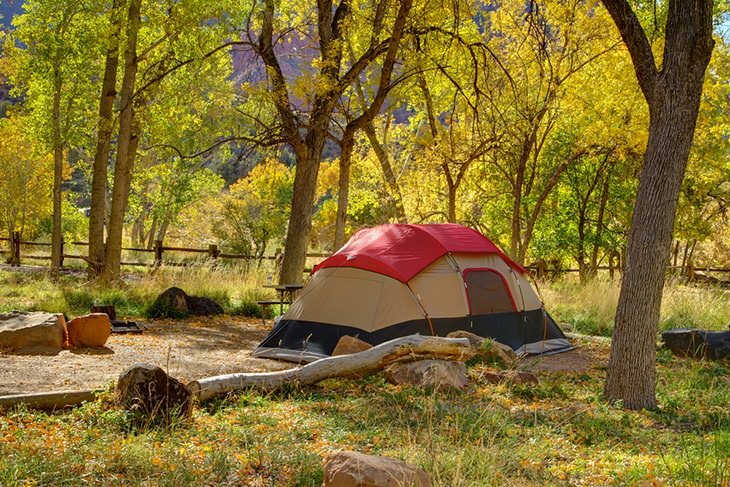 Home » Camping » Camping Destinations » What’s The Best Thing To Do In South Campground Zion? 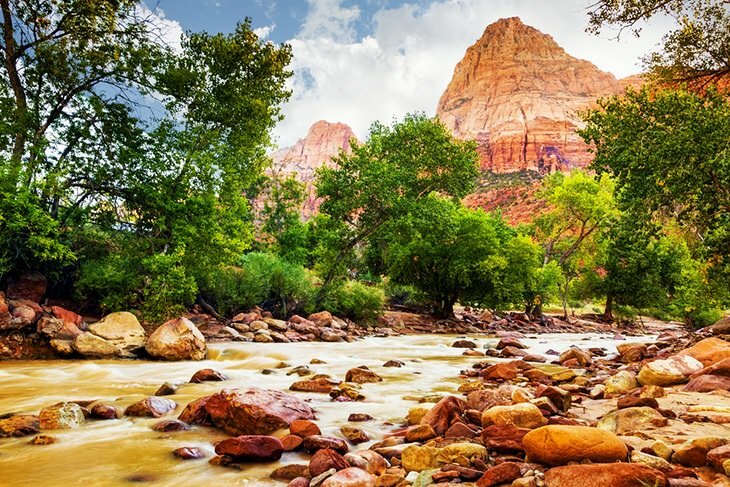 What’s The Best Thing To Do In South Campground Zion? South Campground Zion is one of the three campgrounds in Zion National Park. It is just about half a mile from the South Entrance, and it is available on a first-come, first-served basis. However, it is only open seasonally from February to November. This part of the national park is mostly desert, but it is also along the Pa’rus Trail and Virgin River. These are probably the campground’s main attraction/activity. What's The Best Thing To Do In South Campground Zion? The South Campground in Zion has about 117 sites, accommodating tents, RVs, or both. There are also some group sites and wheelchair accessible sites. Each site has a fire pit with grate, picnic table, and easy access to drinkable water. You will also have access to flushing toilets For a map of the campground, click here. 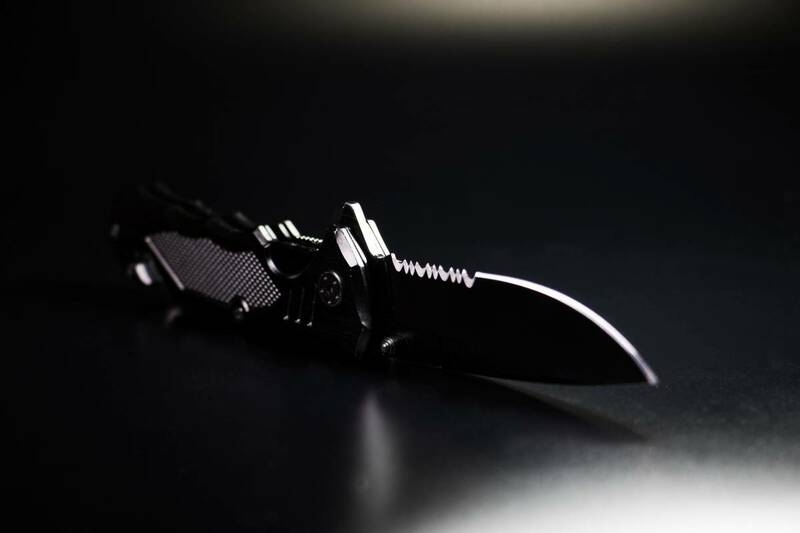 Keep in mind that it is available on a first-come, first-served basis. The sites are typically filled up between 8 to 11, so for a particular spot, you should be early. The camp host will begin assigning locations at 7 am, or 8 am (depending on daylight hours). However, campers begin to line up as early as 5:30 am! 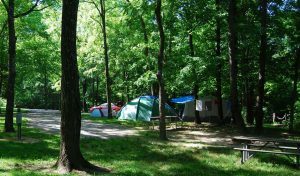 The cost of a campsite is $20 for an individual site and $50 for a group site. For RV campers, there are no hook-ups available. However, there is a dump station and potable water. You can also run your generators between 8am-10am and 6 pm to 8 pm. Finally, make sure you read or familiarize yourself with the rules and regulations of the campground. As I mentioned earlier, the Pa’rus Trail is one of the South Campground’s main attraction. The trail is a relatively easy, with a round-trip distance of 3.5 miles. It’s also bike, dog, and wheelchair friendly, which is quite rare for national parks. In addition to such an excellent accessibility, it also offers fantastic sceneries (including the Watchman). That is why the trail is a little more traffic. Not to worry, though! There’s still plenty of room for a peaceful hike. Another way to enjoy Zion is by going through it on a horse. There are available guided trips to the park, and it’s perfect if the thought of hiking is dreadful to you. The horseback rides run from March to October. 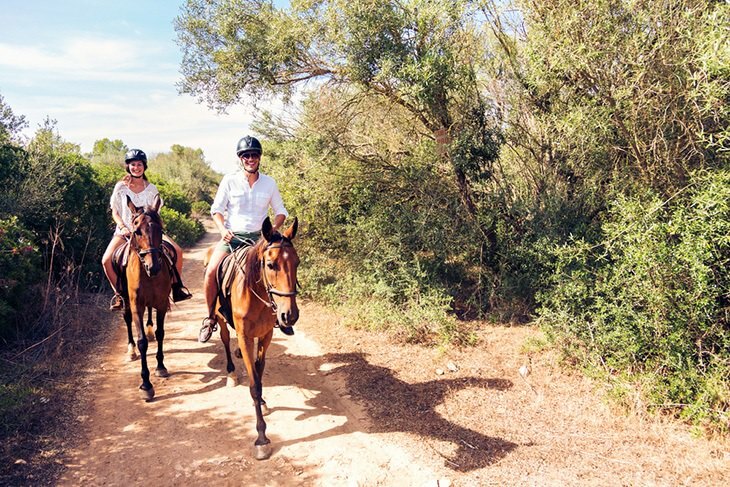 You can choose from a couple of different trails or tours. There’s a one hour ride along the Virgin River and a 3-hour ride on Sand Bench Trail. 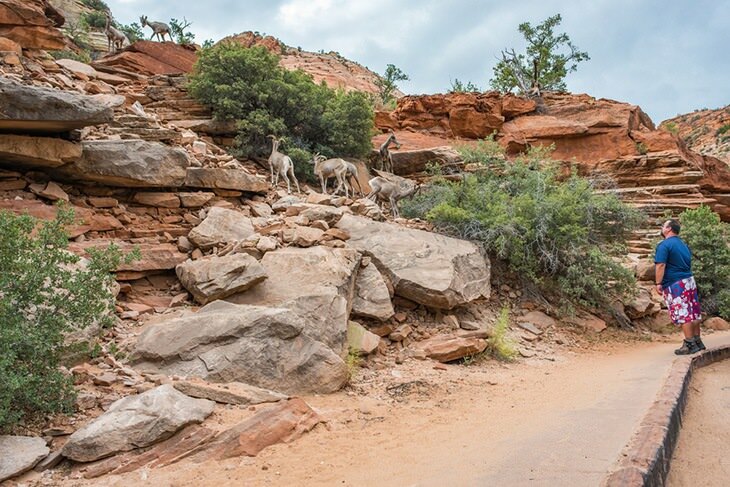 The wildlife in Zion is vibrant. In the South Campground, you might be able to cross by some rattlesnakes, many species of birds, lizards, and tarantulas. Around the rest of the national park, there is so much more than these creatures. Mule deer, wild turkeys, mountain lions, beavers, red-spotted toads, and you can spot porcupines in certain parts of the park. Any watercraft use in the park needs a permit. The good news is the licenses are free, and you can get them at the Zion Canyon Visitor Center. However, not everyone can have a permit, and it will also depend on the water conditions. Kayaking on the Virgin River is possible, but you will need a permit to do so. However, it will require some expertise, especially The Narrows. It is also dependent on snowmelt. You should get a permit the day before you plan on going in the water. 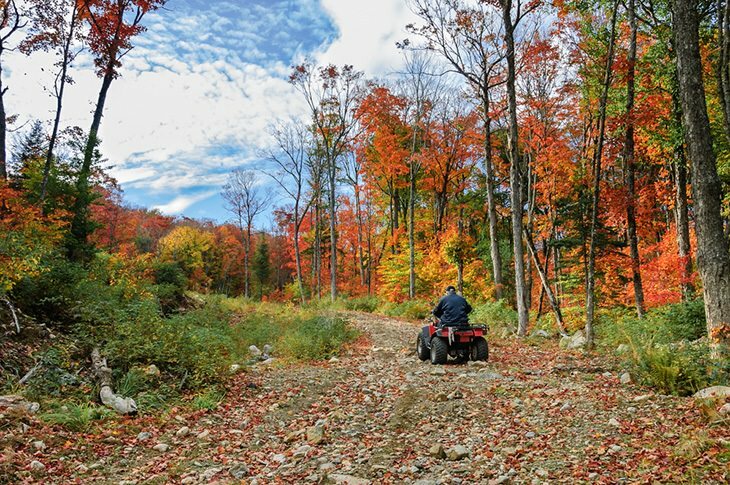 You may not find ATV riding in South Campground, but you will be so close to one. Utah has so many public lands that you can use for recreational use like for ATVs and motorcycles. You can also have a guided trip on an ATV if that you want a little bit more action to your Zion experience. The best activity around South Campground, Zion is dependent on your preference. However, it’s safe to say that majority of the people come here to get on the Pa’rus Trail for hiking or biking. 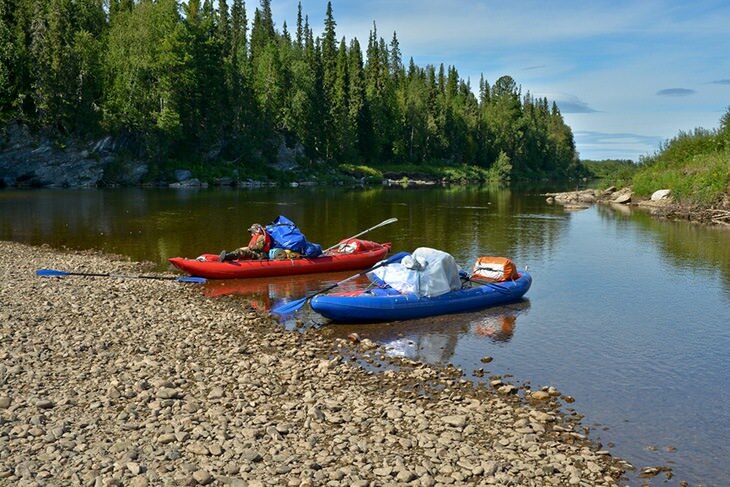 It is an incredibly easy trail, while still offering some beautiful sceneries. When you camp in South Campground, make sure you are early to get a campsite. They operate on a first-come, first-serve basis, so if you want a specific spot, try to be as soon as possible. For more details, check the National Parks Services website or give them a call. We hope you enjoy your stay at South Campground Zion!